There are close to 100 medical aid schemes in South Africa. 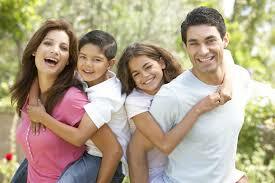 They offer a myriad of healthcare options ranging from straightforward hospital plans to comprehensive medical aid. This means there is something to suit every individual or family. The question is which medical aid plan suits you? We at medical-plan-advice.co.za can’t make choices for you and your family. However, we have all the information on this website to help you make the right decision. We don’t offer medical aid or hospital plans, but we can help you with comparative online quotes to make it easier to choose according to your personal needs. We recognise that people’s healthcare needs vary enormously; and we also know that people’s medical needs change over time, depending on health and circumstance. In addition, we appreciate that affordability plays an important role in people’s decisions regarding medical and healthcare options. More than a third of the medical aid schemes that offer plans are “open” medical aids that anyone can join. The rest are restricted either for people in certain industries. These are for people with specific academic qualifications, or for those who either work for a certain company or business. Or perhaps they belong to a particular professional association. The articles and information we have compiled will help you ascertain what the different schemes offer. You can decide and which ones are suitable for you. 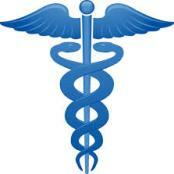 First you should develop a good idea of how the medical aid industry works. We recommend you THEN consult a reputable medical aid broker who can assist with your final decision. Medical aid brokers not only understand the industry, because of the nature of their job, they have an obligation to keep up-to-date with changes in the various medical and hospital plans. The fact is that even the most established plans change from time to time, and this can affect the pros and cons as they apply to you. Whether you already have a medical or hospital plan that you are not entirely happy with, or don’t have any cover at all, a good medical aid broker will be able to advise you. Just remember that changing medical aid schemes is not always as easy as it may seem, so when you make any decision, treat it as a long-term one. Medical care can cost a fortune, particularly when one is faced with medical emergencies, serious injury, disability, or chronic illness. Having access to good medical care can also be a matter of life and death. Without any doubt, knowing you will be in good hands if you or any of your family members are badly injured or become seriously injured will provide you with good financial security. It’s not everyday coughs, colds and minor scrapes and bruises you need to worry about. The purpose of medical aid is to offer peace of mind that you will have access to the care and treatment you deserve in the event of serious medical and healthcare issues. There is a lot of information on this website, and we add to it all the time. So take your time to take advantage of all the medical scheme advice we have to offer. Ultimately you should join the best medical scheme you can afford, and the plan you opt for should meet your needs and the needs of every family member you choose to include on the plan.